The U.S. Air Force has awarded The Boeing Company a $51 million to continue modernizing the GPS satellite constellation for up to five more years. 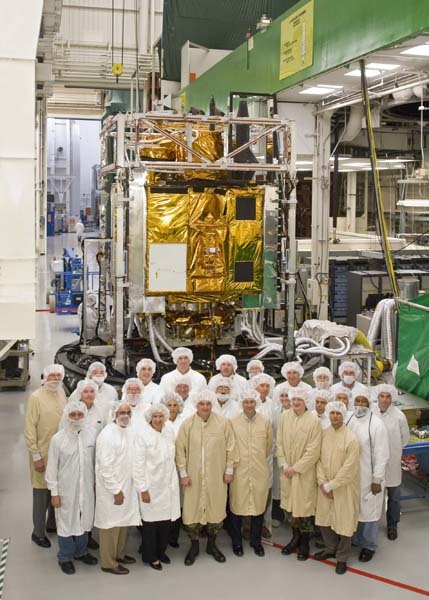 The contract covers GPS IIF satellite shipment to the launch site in Florida, pre-launch preparation, post-launch checkout, handover, and on-orbit support. It has an initial one-year term with four one-year options. "The contract provides mission continuity for the Boeing GPS IIF fleet as we continue to deliver on our commitments," said Craig Cooning, vice-president and general manager of Boeing Space & Intelligence Systems. "With nine GPS IIFs still awaiting deployment, the contract scope includes supplying all support needed until the Air Force calls for the vehicles." The company is currently under contract for 12 GPS IIF satellites, three of which have been launched into service. The IIFs provide greater navigational accuracy through advances that include atomic clock technology, a new civilian L5 signal and an improved military signal.